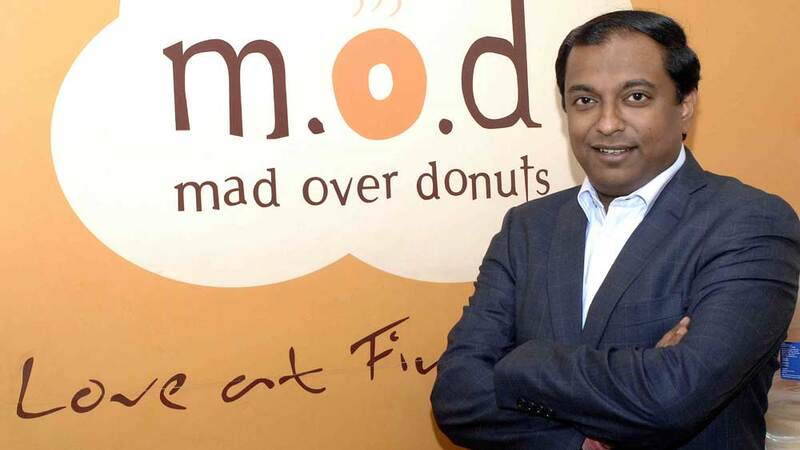 In a telephonic conversation with Restaurant India, Tarak Bhattacharya, COO, Mad Over Donuts shares about beginning a sweet journey in India. How was the journey of Mad Over Donuts in India? We started in 2008 with a motto that donut has to be done right. It took almost 18 months to research and bring MOD to India. We are a Singaporean brand and we thought south East Asia market would be a better market to start donut and we realise that probably India was a market where people would love to experiment with a new offering. Also, India was a better market in terms of size and innovation. Within few years we started opening stores in India and people accepted our brand, our donuts. And, that gives us the courage to expand the business beyond Delhi and Mumbai. In last 8 years of our operations we have opened more than 50 outlets. We are in Pune, Mumbai, Bengaluru, and Delhi as a territory. We are expanding to Hyderabad, Kolkata and these will be our target for now. We have seen lots of donuts chain entering India. What competition do you see from them? We have come a long way. Even after 7-8 years I feel donuts is a niche category to get into. It will take some more time to grow; brands like Dunkin Donuts and Krispy Kreme have in fact helped the category to grow. I think more and more brands are welcomed to make this category stable. When more and more consumption happens its good for the business also. I think I am enjoying the competition and would love to see more brands in the country. We have seen MOD running several festive offers. What is the benefit? We always run the offer 5+1, wherein you buy one; you get one free to invite people to do more consumption. Meanwhile, every sixth week we launch a new menu or a new donut to give customer an option to choose from because people also get bored with the same menu. I think this gives us a more of differentiate customer on a day to day basis. Lots of menu is not happening from our R&D team but from customer reviews about what should we do as a donut. It’s all about customer engagement so that they can come to your restaurant. We do a 10-12 per cent increase in sale during festivals category donut. But for mango donut we do about 20 per cent per week. How is technology helping youth centric brands like yours to grow? I think technology is the need today and it has played an important role be it through online consumption or be it through delivery. Delivery is the bigger business today. So, in terms of technology delivery is key focus right now. We are not doing any app right now but in the future we may launch an app for our delivery. But at present we are doing it through our website which is MODdelivery.in . What is the expansion plan? We are growing slowly. We will be adding 25-30 stores this fiscal year. We will open 18 outlets in next 6 months and then another 10 by March. “We Amalgamate All The Senses”.. Taking The Abaya Industry Bequest Further..
“We Hire Orphan Disabled Poor as Staffs"..
5 Concepts Trending in Food Franchising..
Education is Not Restricted To Time..
Silver Is Becoming The New Gold.. Balancing Work With Family Life..
Getting Perfect Home with Student Housing.. Serving an all vegetarian food.. Owning a Bar/Pub is Not Everyone’s Cup of Tea..
Ayushman Bharat’s Contribution To Healthcare..
Growth of Sportswear and Athleisure Industry..
FOR KIDS TO STEP OUT IN STYLE.. Bringing The Change Via Collaboration..
"With Franchising You can Grow Brand Quicker"..
A Boost To Primary Healthcare Sector..